Whew. Okay. I finished the pumpkin placemats shortly after my last post. They were a lot easier than the napkins because the shapes were bigger so the curves weren’t as tight. The placemat fabric, despite its thickness, wasn’t difficult to sew at all. I had pretty much no problems with it. I have my sewing salon tomorrow at Treadle Yard Goods. The purpose is to get help with sewing without it being an actual class with the cost and numerous dates that entails. It seems that sewing classes never fit into my schedule, because I always have some sort of conflict. So this kind of thing works out better for me. 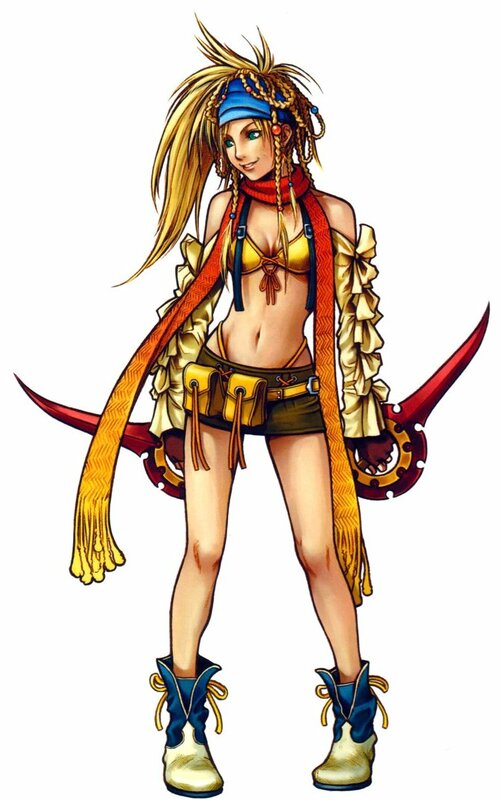 I’m bringing my Rikku bikini top along, seeing as how that’s my current project. I’ve been way too busy to even think about stepping in the sewing room in the last week, unfortunately. So I set aside a bunch of time today to prepare. I actually cut into the yellow fabric. I’m such a chicken about cutting my actual fabric, so this was a big step for me. ;) Related note: I took a trip to SR Harris again on Friday and learned that my yellow fabric is poly/lycra. There isn’t any info on this in my Fabric Savvy book, but I’m sewing it like nylon/lycra. I did learn (from an online link I found) that poly/lycra has a ribbed side and a wrong side. That was probably too subtle for me to catch on my own, so I’m glad I found that. I started keeping a sewing journal to record my observations, how I solved certain problems and why I did it that way, and certain settings that I used to sew stuff. I’ll probably pick and choose some stuff to put in here. Needless to say, I learned a lot today about cutting, sewing, binding, and putting eyelets into knits. Hopefully I’ll have more success stories tomorrow. Here’s my obligatory “I’m not dead!” post for the month. I took about a month long break from sewing stuff in preparation for my Arizona trip — I spent pretty much all my time studying. Now that I’m back and have gone to an anime convention, which always inspires me, I’m back in business. Before I started my sewing break, I started working on the main parts of my Rikku costume. For those of you unfamiliar with the costume, here’s a picture. Yeah. Stop laughing. 2) Making a bikini top in the first place — I’ve never made one before! 3) Getting the right amount of support. 4) Making it look good on a small-chested person such as myself. 5) Getting that edge binding to look right. I bought some awesome material for both the top/bottom and their binding at SR Harris. Of course I didn’t bother to check what kind of lycra it is, so when I opened up my Fabric Savvy book, I found out that the sewing/prewashing is slightly different for cotton lycra versus nylon lycra. Great. And of course, the difference is that nylon is shiny while cotton is matte. Except that I can’t tell which one the base yellow fabric is — I’m pretty sure the binding is nylon. So yay for me. I found a very similar fabric on one of the shirts in my closet that says it’s nylon, so I’m going with that. For the top, I started with a base pattern and modified the hell out of it. In fact, I did a lot more modifying than I thought I knew how to do — John was impressed. Now that I have the fabric and it’s stretchier than the knits I was using to test, I took some material off the edges of the pattern. We’ll see if that works. 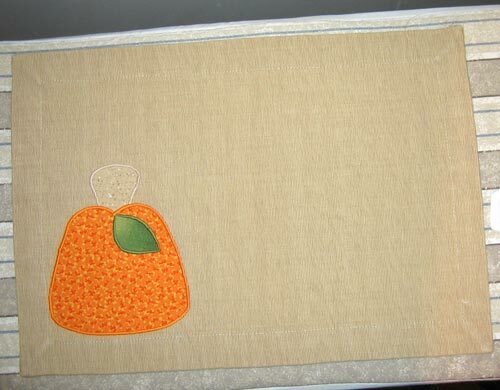 And of course I’m hoping to finish the pumpkin placemats soon — I spent this evening tracing and cutting out the applique. Tomorrow I sew! 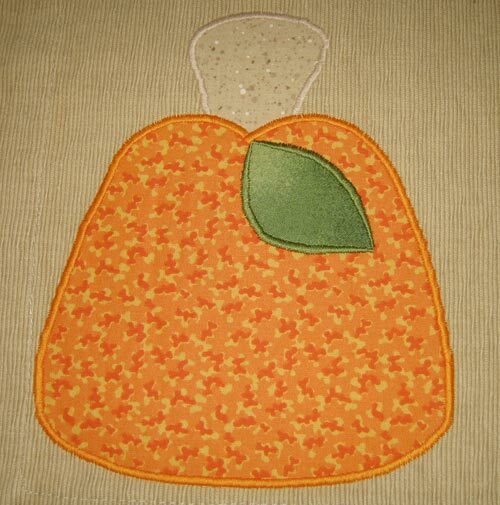 You are currently browsing the Lopapalooza Creative Fingers blog archives for September, 2005.